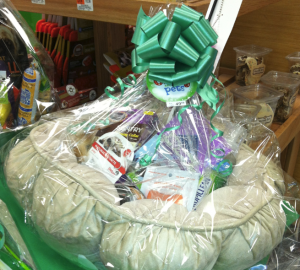 Are you thinking about a lifestyle change and wondering what’s it like to be a gift basket designer? Find out in this revealing article. A career as a gift basket designer is better than you imagine. 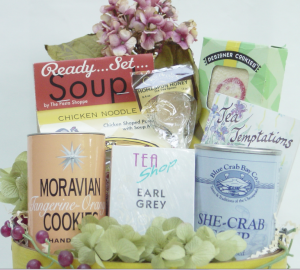 Here are some of the most-frequently asked questions to designers who make gift baskets as their profession. I can’t tell you how many times I hear these questions asked when I conduct gift basket classes online and in person. Why are these and similar questions asked? They’re asked in confidence because you won’t find true and genuine information on the internet about what it’s like to be a gift basket designer. While some people write about the topic, few or none of them are actual gift basket designers who live the life. That makes the truth about what we do secretive, something that’s not shared with the general public. I will tell you this: no day is the same – ever – and that’s good news if a “sit at your desk all the time” 9-5 job is not for you. One day you’re up to your designer nails in orders. 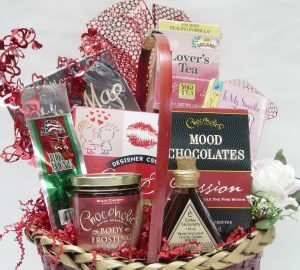 Another day you’re having breakfast or lunch with a person who’s interested in buying gift baskets for their clients. Yet, on another day, you’re visiting a business that sells baskets, ribbon, and foods to choose the items you plan to buy. There are days when making gift baskets isn’t as glamorous as this sounds. In general, it’s all business, but it’s also very creative and life changing not only for you but also for the people who receive the gift baskets you make. When a person receives your gift basket, they will smile, laugh, or cry with joy, and there’s a good chance you’ll feel the same emotions because of all the dedication it takes to create each masterpiece. That’s a quick look into the fun side of being a gift basket designer. As in every business, there’s a flip side. Making gift baskets every day. Collecting money. Attending events to taste foods and treats. Sounds great, right? It is. However, a designer’s life isn’t all gravy. We encounter stressful situations that must be solved, and lots of it deals with customer service. And there are internal problems you must fix. Products you order don’t arrive on time. Water enters your facility and damages merchandise. A customer backs out on a big order, and you didn’t get a deposit. You get sick just in time to not finish a big order. 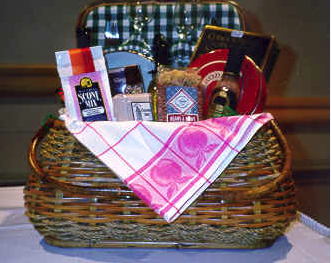 What happens in the gift basket world is no different than what other business owners face. However, these problems are magnified when they’re your problem. It’s temporarily painful. However, you learn to handle the ups and downs. The good news, when problems arise, is that you can walk away – not for good – for a fair amount of time to take a walk or have a coffee or tea to decide how to proceed. It’s okay to back away to think and breathe. You’re the boss. Then you return with a better perspective, ready to handle the situation triumphantly. That’s what I’ve done and continue to do, armed with lots of tea and hot water as part of my de-stress process. Answers always arrive when you calm down and identify solutions. Try not to let the thought of problems stop you from entering this fun and creative industry. If things were that bad, gift baskets would not exist! 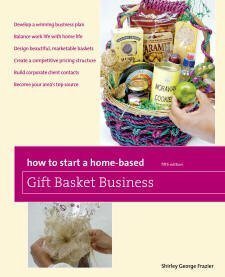 How to Start a Home-Based Gift Basket Business is the definitive book on what it’s like to be a successful designer. It reveals the inside scoop on the life you want to live whether making gift baskets part time or full time. This book, now in its fifth edition, is the industry bible, recognized worldwide as the absolute leader that includes a step-by-step blueprint. What topics are in this 296-page book? 1: Who Buys Gift Baskets? There are lots of forms and charts within each chapter, too! Order How to Start a Home-Based Gift Basket Business today, and I’ll also send catalogs and other get-started materials for you to start creating gift baskets, part of a creative endeavor you want and will enjoy for a lifetime.